The journey to “slim” is an inside job. Weight loss can only happen from the inside out and yet we continually focus on outer conditions as our cause. It’s important to understand that you must never underestimate the power of your mind in its ability to assist you in the healing and repair of your body and its systems. Employing the mind/mental concept is a new, unique and productive approach to losing weight and keeping it off. How many times have you told yourself to just do it but it never happens? It doesn’t happen because you have not changed the cause which lies deep inside your subconscious. Until you change the cause the unhappy results will keep appearing. Your subconscious is your file storehouse…it has miles and miles of programs running it…including your belief about food, health, exercise and diet. This faulty inner mind programming is the cause of your weight gain, weight “plateau”, weight resistance or diminishing health. It’s time to get to know “you” on a much more personal basis, a much deeper basis. You will have to address some long standing habits, attitudes, feelings and assumptions about food and your relationship to it if you wish to change your body, your lifestyle and ultimately your life. The key we need to understand is that our minds/consciousness dictate to our bodies…our bodies just listen and follow orders. What are you relaying to your body intelligence/cells? If you are presently imprisoned in an unhealthy, overweight, and unhappy body and wish to change that then you will need to make some serious changes to your ‘inner’ mind programming first where the cause lies. Once you address this part of you losing weight becomes so much easier and more permanent. Shift your defeatist thoughts to positive thoughts and ideas and drop those into your subconscious on a consistent basis and you will find yourself making better choices with your diet and you’ll find that you actually enjoy exercise. Program your mind to becoming slim and fit. Program your mind to living in a healthy, feel-good body. When you concentrate on shifting your negative perceptions about diet and exercise to positive ones…feel good one, you’ll find it’s truly easy and effortless to achieve your goals. You cannot continue fighting against your mind. Your mind is your power station…your subconscious will rule from old patterns if you don’t take the reins and change the game. When you drop new thoughts and ideas into your subconscious they grow and intensify. But, you have to consciously put them there first and the way to do that is to study yourself; your thoughts and opinions, beliefs and reactions and shift the ones that do not align with you achieving your goals. Since your subconscious mind is 90% of the problem, trying to solve the issue by focusing on the 10%…the actual diet and exercise is not going to get the job done. Go to the source of the problem and quit addressing the results. Once you have reprogrammed your mind to think like a “thin” person you won’t be attracted to the wrong types of food (processed, high fat, high sugar etc.) nor will you try and avoid exercise like the plague. Your new mindset will have you active and loving every second of it…you’ll be looking forward to each day with a mind-set that is working with you rather than one that has been your arch enemy in the weight-loss battle. New thoughts=new actions=new body=new lifestyle. It’s a good thing. Do you struggle with you weight? Have you reached a plateau of resistance that you don’t think you’ll ever move beyond? Help has arrived. If dieting, binging on ‘Miracle Supplements’ and hours at the gym are no longer working let me help. “Stop Weight Loss Resistance” offers 6 surefire solutions to your weight loss resistance problem…you don’t have to live with stubborn weight any longer. 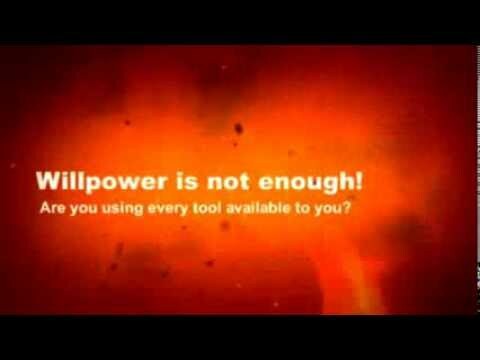 Filed Under: Mind Power and Weight Loss, Why Can't I Lose Weight?